This week has been full of rain–which I love–and last night the opportunity got the better of me. 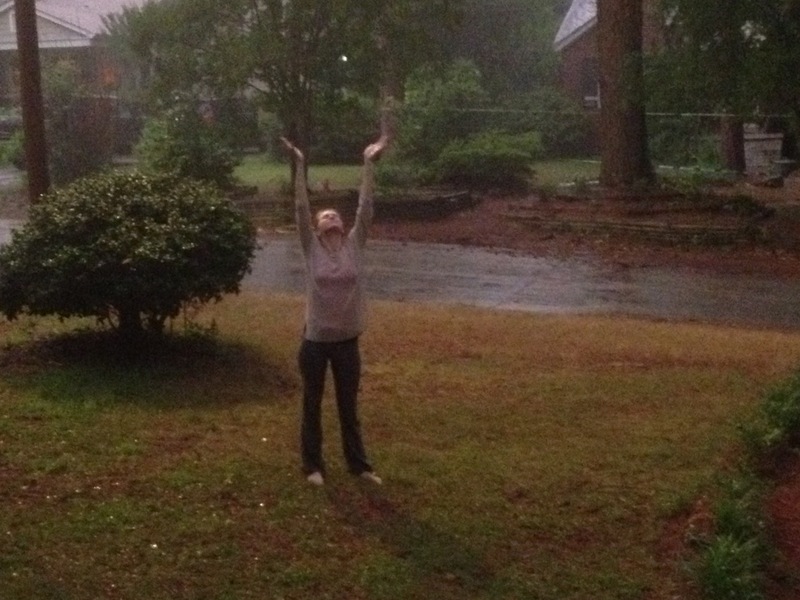 Who doesn’t need to dance in the rain every once in awhile? This week I’ve rediscovered the calm & joy of yin yoga –purposely being still in a pose for several minutes, noticing sensations and practicing a calm mindset in the midst of something that might be a little uncomfortable. Good lesson for life, surely! 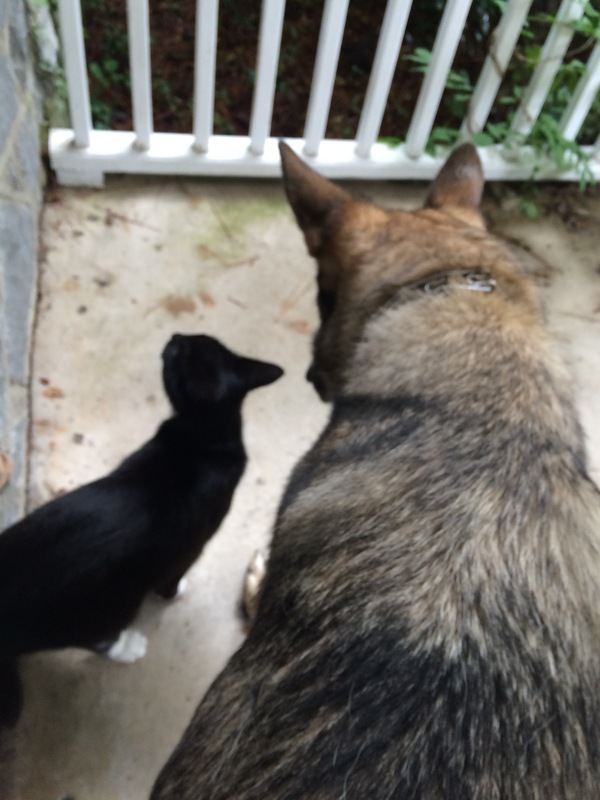 What a delight to see the developing relationship between Ben & cat Frances. His trepidation and her practiced nonchalance are the best comedy routine. A free pass to inspiration in cooking & literature! Aren’t libraries wonderful things? 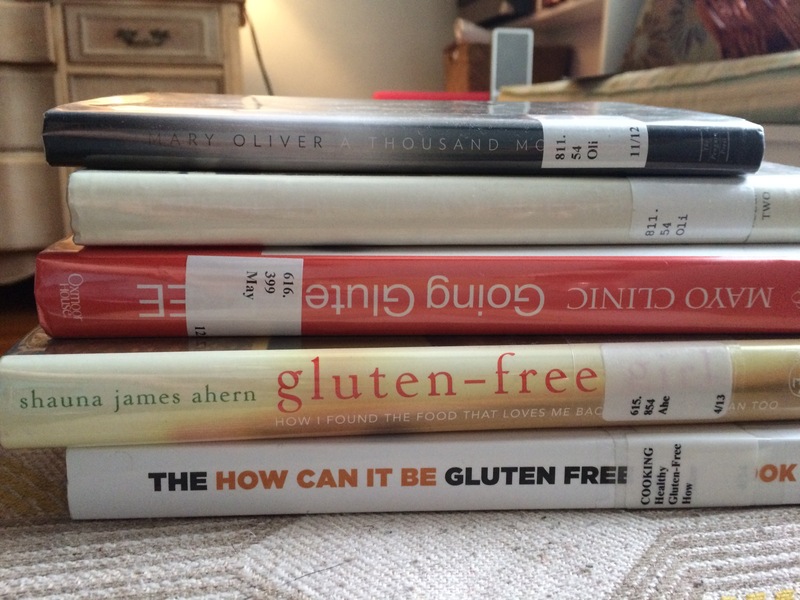 Gluten-free baking & Mary Oliver–a happy week, indeed. This entry was posted in happiness lists and tagged animals, cooking, friendship, Mary Oliver, poetry, weather by Emily. Bookmark the permalink. A wonderful expression of thanksgiving. And reminiscent of Gene Kelly (or more appropriately Leslie Caron) singing in the rain and happy again!